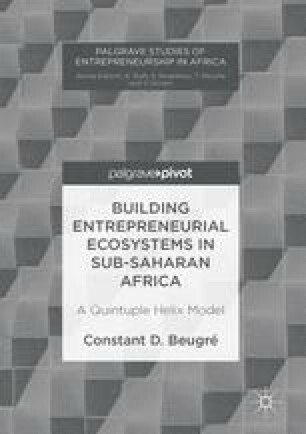 This chapter focuses on the role of government in the development of entrepreneurial ecosystems in sub-Saharan Africa. Governments can positively contribute to the creation of entrepreneurial ecosystems by providing financial support to promote entrepreneurship education and research. Governments can also enact laws and regulations that create a favorable climate for startups. In addition, governments can facilitate entrepreneurship by fighting corruptions and red tapes and using public media to create awareness of entrepreneurial success.